From the collection of GA Brooking with his writing and stamp on the reverse. 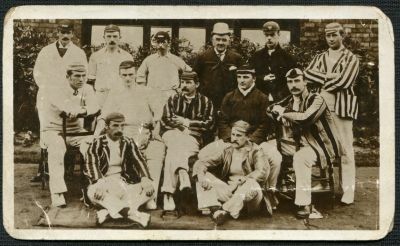 Brooking was the foremost authority on the cricket of Liverpool & District and this original small photo shows the team that played in a first-class fixture against Yorkshire at Aigburth in 1892, 11cm x 7cm. The side was captained by AG Steel (seated, centre) and included AC MacLaren (seated next to him). 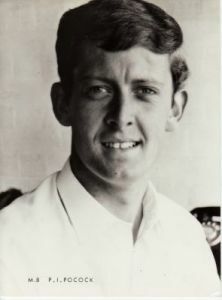 A strong Yorkshire side were easily beaten by 6 wickets, being bowled out for 69 in their first innings. A rare photograph with wonderful provenance.